Dulwich Centre Foundation is involved in projects aiming to assist children living in vulnerable circumstances, including children who have experienced or witnessed violence. During these projects we hear about how children and young people in such distressing circumstances are increasingly vulnerable to experiencing bedwetting. We particularly hear about children in immigration detention centers, children who are living with their mothers in domestic violence shelters, and children in contexts of war or natural disaster, who are having to deal with wet beds in times of trouble. 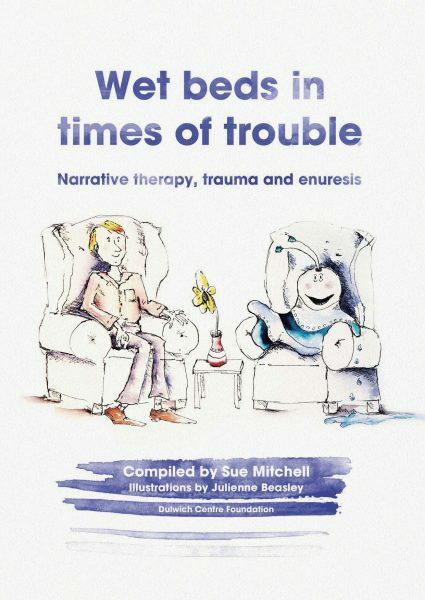 While wetting the bed can be a completely normal part of growing up, and is often experienced without any influence of distress or trauma, this handbook aims to offer hopeful and creative ways of responding to children who have experienced trauma and/or witnessed violence and in the midst of dealing with these tough experiences are also finding themselves in wet beds. We hope this resource will be helpful for workers and for parents/carers.